The Easy-Fold Plain Stretcher by Junkin Safety Appliance Company is made of 1.00" sturdy anodized aluminum tubing frame with flush folding hinges. Folds for compact storage. 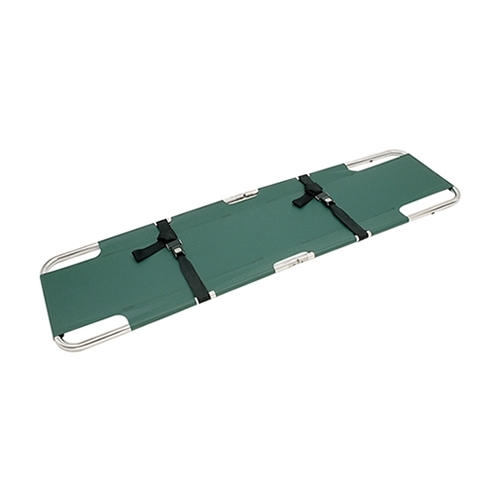 2.00" wide patient restraint straps with standard automotive seat belt type buckles. Cover is fabricated from tough 18 oz. green vinyl coated nylon. Junkin Model JSA-603.